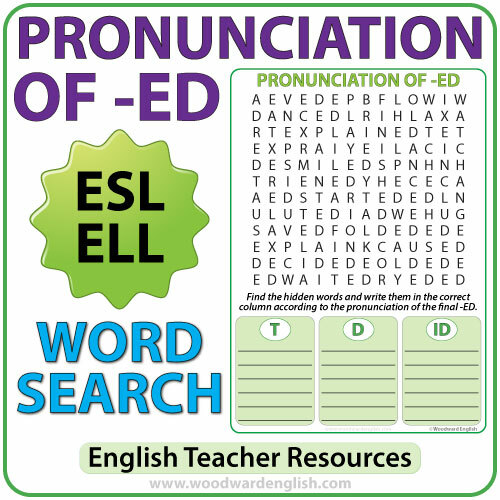 ESL Word Search about the pronunciation of ED in English. 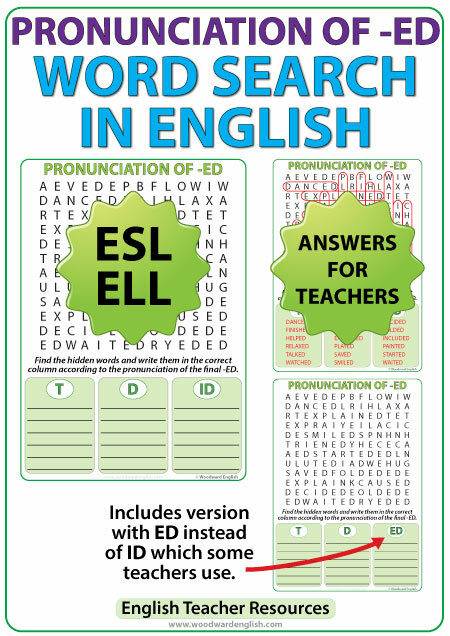 The objective of this word search is learn the sounds of ED at the end of words in English. 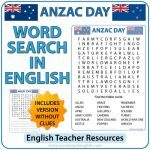 The word search contains 18 regular past tense verbs ending in ED. Six of them end in an /id/ sound, six end in a /t/ sound, and six of them end in a /d/ sound. 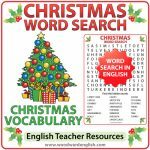 Students need to find the words in the word search and then write them in the correct column according to the sound of the final ED that each word has. There are two versions of this word search: One where the three columns are headed with T, D, and ID, the second version also with three columns though headed with T, D, and ED. Notice the only difference is ID or ED being written differently in the final column. This is because some teachers use ED at lower levels instead of the normal ID. A teacher answer key has been created which can also be used by students to check their own work. This makes it ideal as a literary center activity. This resource is ideal for teenage or adult ESL/ELL students to help them sound more like a native speaker when it comes to saying words that end in ED (accent reduction). I have created a pronunciation video on YouTube about this topic: ED pronunciation in English – How to pronounce ED endings (Suitable for the classroom). Una sopa de letras para aprender la pronunciación de palabras que terminan con ED en inglés.